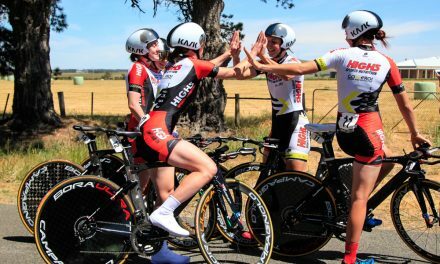 The High5 Dream Team will combine youth with experience as they look to win the Subaru National Road Series team’s classification for the third year in succession. Two-time Individual Pursuit World Champion Rebecca Wiasak is back for a third season in High5 Dream Team colours, where she will be joined once again by Lucy Kennedy, Tessa Fabry, and Samantha de Riter. The quartet welcome new recruits Emily Roper, Jessica Pratt, Chloe Moran, Ruby Roseman-Gannon and Kristina Clonan. 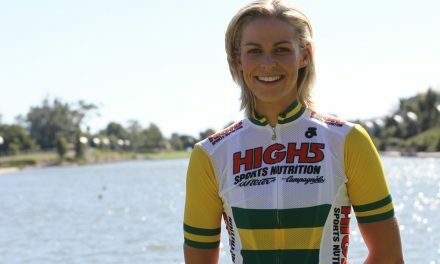 Canberra’s Rebecca Wiasak is eagerly anticipating a new season with the High5 Dream Team. Team Owner Rochelle Gilmore is excited by the quality of the team selected for 2017. ‘The success of the High5 Dream Team in 2015 and 2016 has been overwhelming. The staff and athletes have exceeded my expectations both on and off the bike. The team is all about reaching the highest level of professionalism on and off the bike and we’ve managed to achieve that, resulting in another year ranked as the Nation’s No.1 NRS team. ‘It’s such a wonderful feeling to have passed five athletes onto professional European and American contracts. The High5 Dream Team gives me so much pleasure in so many ways however seeing athletes move onto pro contracts is the absolute highlight. ‘We’re starting the 2017 season with a great mix of talent and we’re super motivated to try and win the NRS series for a third year straight. I have no doubt that the new composition for 2017 is capable of achieving the team’s athletic ambitions while also focusing on how to best promote women’s cycling and give our wonderful partners satisfactory return on investment. ‘I’m super excited to get the 2017 season underway and watch these athletes pull together as a team in their first races of the season. It’s never easy to win as the favourites or being the strongest team on paper, they need to be able to adjust to the new composition and race one for all, all for one. It’s impossible to win at such a high level without a selfless commitment to the team’s ambitions,’ said Gilmore. The team will be well supported as always, thanks to the generosity of sponsors High5, GoExPro, Wilier, Campagnolo, Kask, Oakley, John West, Bont, Muc-Off, Vittoria Tires, Amy Gillette Foundation and state institutes of sport. 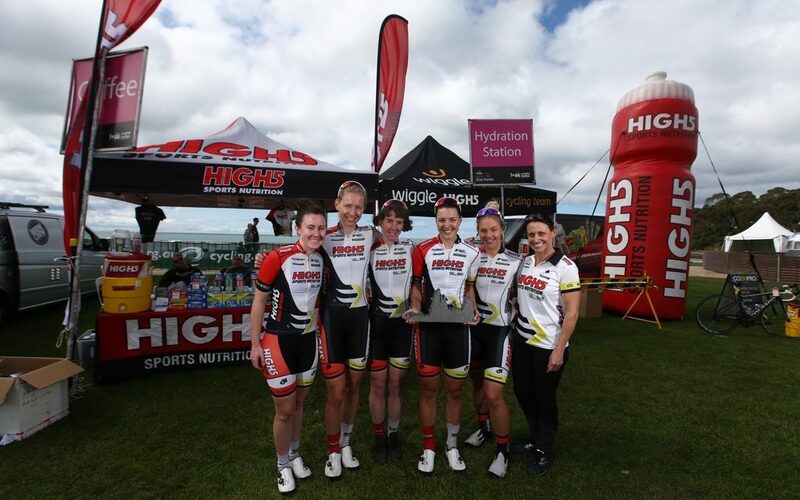 The High5 Dream Team aspires to continue as a pathway for riders to professional cycling. Since inception in 2015 the team has graduated six riders to professional contracts. Kimberley Wells (Colavita 2016), Jess Mundy (Fearless Femmes 2016/ Colavita/Bianchi pb Vittoria team 2017), Ellen Skerritt (Cipollini 2016) Jessica Allen (Orica-AIS mid 2016 + 2017) and Georgia Baker (Orica-AIS 2017) and Kendelle Hodges (Colavita/Bianchi pb Vittoria team 2017). Rebecca Wiasak: 2015 and 2016 Individual Pursuit World Champion Rebecca Wiasak dominated the National Road Series with stage wins at the Tour of King Valley, Amy’s Otway Tour, and National Capital Tour. 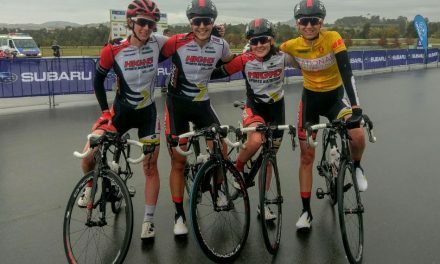 Wiasak also won the Tour of the King Valley sprinters jersey, as well as the sprinters jersey and overall General Classification at Amy’s Otway Tour. Lucy Kennedy: In her inaugural season with the team Lucy Kennedy placed 2nd in the National Road Series individual standings. Kennedy’s climbing prowess shone through as she collected Queen of the Mountain jerseys at Battle on the Border, Tour of the King Valley, and Amy’s Otway Tour. She then took her maiden General Classification win at National Capital Tour. Tessa Fabry: A seasoned performer Tessa’s solo 50 km breakaway in Stage 3 of the Mersey Valley Tour was one of the most memorable wins of the 2016 season. Fabry closed out the season by winning the 280km long Women’s Melbourne to Warrnambool road race. Samantha De Riter: The workhorse of the team, Samantha De Riter is ready to once again sacrifice for her teammates and ensure they have the best opportunity to take stage and jersey wins. The potential for Sam to score a stage or tour win is definitely on the cards and would be a well earned reward for her selfless service to the team. Jessica Pratt: In her first year of senior competition Jess proved her potential by placing seventh in the National Road Series individual standings. This followed on from Pratt’s 2015 junior campaign where she won the Australian Road Race title and finished 9th in the 2015 UCI Junior Road World Championships road race. Chloe Moran: Chloe Moran brings diversity to the team having represented Australia in both junior track and road teams. At the 2016 UCI Junior Road World Championships in Doha Chloe finished 15th in the Individual Time Trial. In 2015 Chloe was part of the Australian Team which placed 2nd in the Team Pursuit at the Junior World Track Championships. Ruby Roseman-Gannon: With a pedigree built on the track, Ruby Roseman-Gannon joins the team with a winning mentality, having captured gold in the Madison at the 2016 UCI Junior Track World Championships. Ruby is also accomplished on the road having medalled in the road race and criterium at the 2015 Junior Road Nationals and served capably as a guest rider for the High5 Dream Team in NRS events. Kristina Clonan: Kristina joins the team with well founded aspirations as a sprinter. Representing Australia at the 2016 UCI Junior Track World Championships Kristina finished third in the Scratch Race and third in the Madison. Kristina also scored several top 5 results in 2016 National Road Series stages. Emily Roper: No stranger to the National Road Series or international competition, Emily Roper is a welcome addition to the team. Her diverse range of results includes the 2016 Under 23 Australian Time Trial championship as well as the 2013 and 2014 Under 23 Australian Road Race and Criterium Championships. On an international level Emily placed 4th in the Individual Time Trial at the 2012 Junior World Road Championships and 1st in the Team Pursuit at the 2011 Junior World Track Championships. Emily also represented Australia in Europe with the Jayco-AIS team women’s road team in 2013 and 2014. Her experience will no doubt be put to good use as a team captain in 2017.